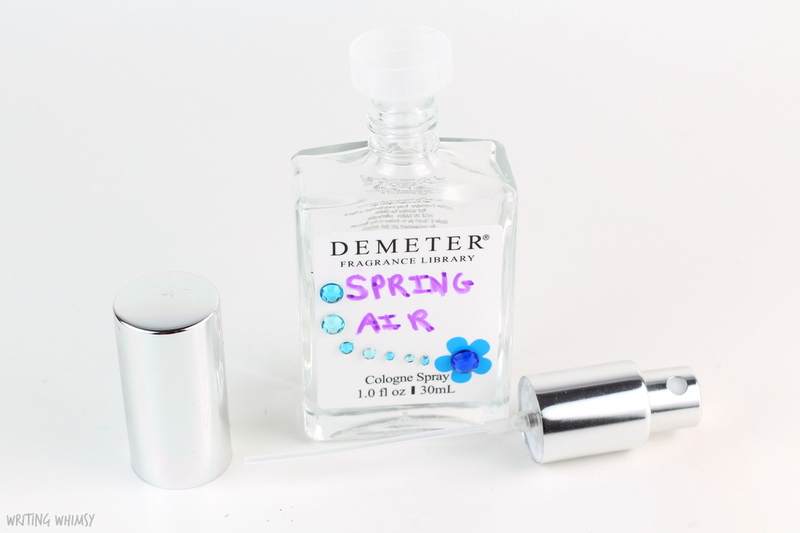 I can never turn down an excuse to get crafty so I was pretty thrilled by the latest concept from a brand that has constantly innovated, Demeter Fragrance. You now have the ability to select several of their single note scents so you can create your own custom blend. Instead of kits like the ones I reviewed in February, you can pick any three scents from a catalog of 10 foolproof options to create your own signature scent. I picked out Gin & Tonic, Wet Garden and Sunshine to blend together! 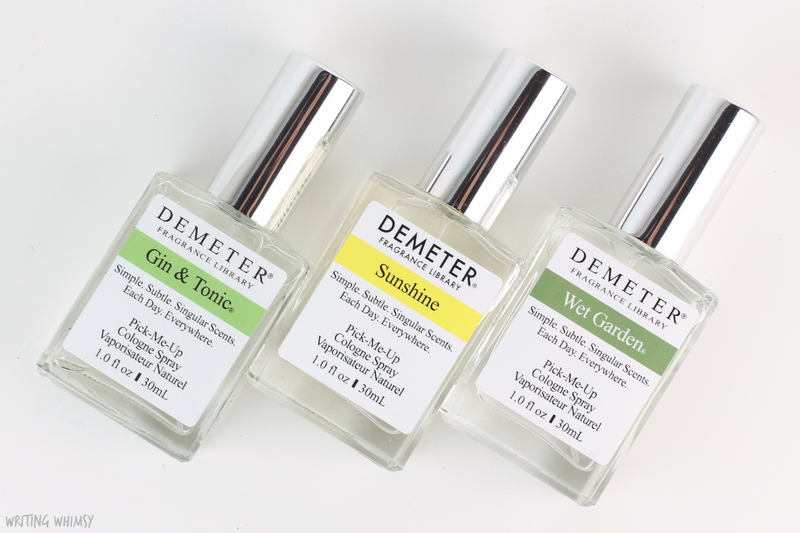 Demeter Gin & Tonic is a very authentic, fresh clean scent with a hint of citrus. I don’t actually like Gin & Tonic the drink, but I was curious and after trying it out, I definitely like Gin & Tonic the scent! 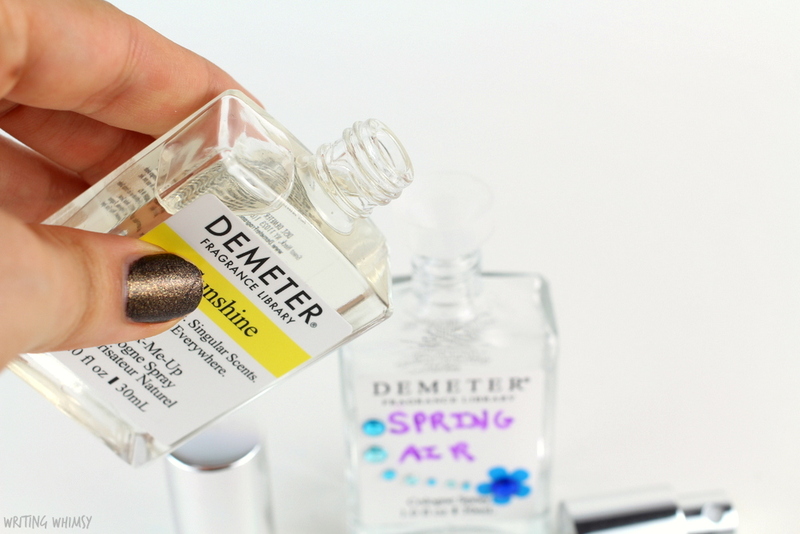 Demeter Sunshine is a sweet creamy lemon scent I already knew I loved from when I reviewed it back in 2014, but I couldn’t resist the chance to try it out again. It does have a hint of cleaning product scent to it, but I find it delicious. 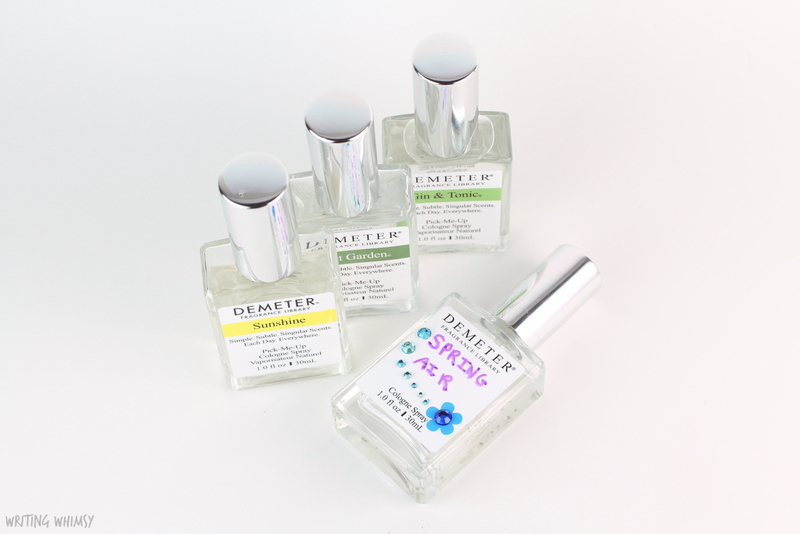 Demeter Wet Garden is a musty but crisp, fresh scent at the same time. It reminds me of freshly cut grass and new flowers starting to open after the rain. In addition to three great scents I received some fun goodies to help decorate my own custom scent. 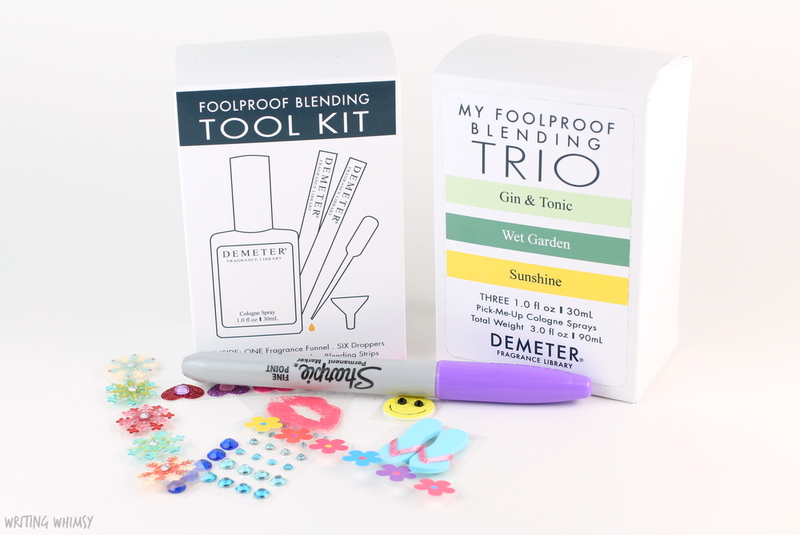 The Blending Toolkit comes with a fragrance funnel, six droppers, a refillable bottle and blending strips. 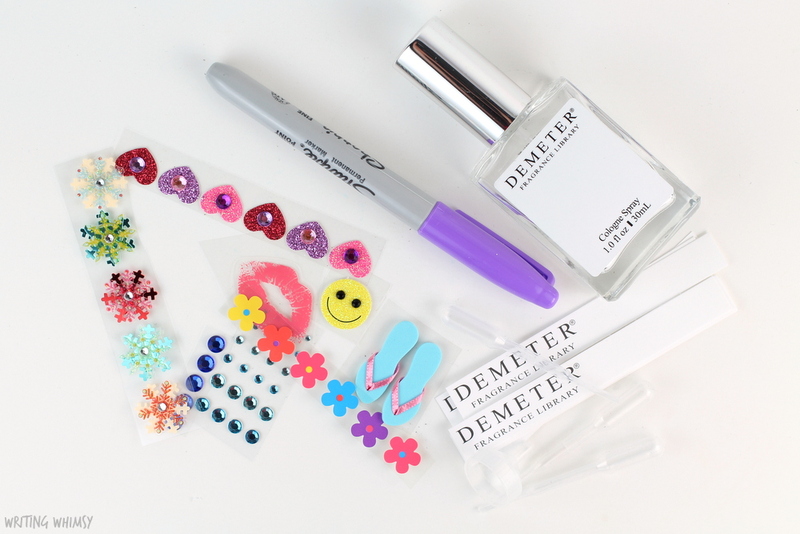 You can decorate the label with permanent markers and your favourite stickers! I immediately got to blending the scents together and came up with my own concoction, Spring Air. This mix 1/4 bottle Sunshine, an additional 10-15% Wet Garden, and a dropper full of Gin & Tonic. The end result is sunny and wet and fresh, with a bit of crispness that really reminds me of fresh Spring air! I already love all the creative and authentic scents that Demeter Fragrance creates, but it’s so much fun to play Perfumer at home and make my own scent too! If you love fragrance and you’re looking to experiment, I really recommend checking out and creating a Foolproof Blending Trio of your own! I received this set as a part of Canadian Beauty Blogger campaign, so make sure to check out what the other bloggers have mixed up in their blog posts here.